Saturday morning was very cold and very wet – the perfect morning to stay indoors and whack the heating up, right? Wrong. 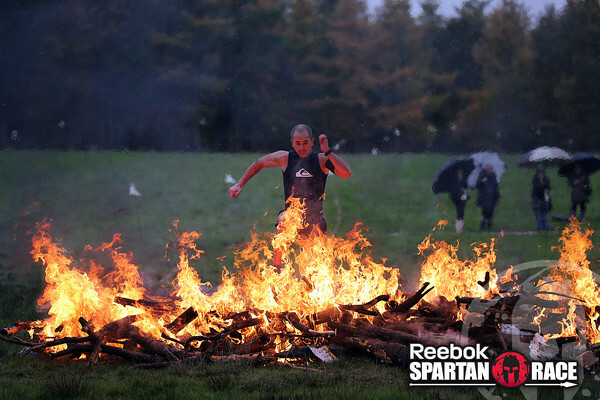 I was at Pippingford Park in East Sussex battling the elements and ready to support the hordes of runners taking on the Spartan Beast – an epic 25km obstacle race. As the climactic event on the Spartan Race calendar, this was going to be tough and it seemed as though Mother Nature herself was intent on making it even tougher for the runners. With a muddy and rain-soaked course greeting runners in the very first elite heat at 10 a.m., the non-stop rain made the trails boggy and the mud pits … boggier! Having completed one of the shorter events, the 5km Spartan Sprint back in September, I couldn’t wait to see what the organisers had in store for the 15+ miles of challenging terrain. Oh, and did I mention that, if you fail ANY of the 25+ obstacles, there is a 30 burpee punishment?! This race was hardest yet, but don’t just take my word for it, we have a first-hand account from a Spartan survivor, Darrell Skipper, who crossed the finish line after a gruelling four and a half hours. The Spartan Beast was by far the toughest physical and mental challenge of my life. I’d signed up for the 2013 Spartan Race Season Pass this year and had already completed four of the shorter Spartan Sprints (between 5–8km) and one Spartan Super (12km) over the summer, but this was on a different level. I ran in the 10 a.m. ‘elite’ heat (I didn’t feel too elite by the end!) and we set off just in time for the first of many torrential downpours of the day. It wasn’t long into the race before we realised that this was going to be a lot different to those nice warm race days of the summer … It was raining pretty much the whole time and this resulted in people getting stuck in the mud and the freezing bogs being at chest height at times. The obstacles ranged from fire jumps, 8ft wall climbs, rope climbs and barbed wire crawls to carrying heavy sandbags up and down steep and slippery slopes. Some very ambitious person also decided to put a 25ft rope climb at the end of the race, which apparently only about 10 per cent of finishers managed; the other 90 per cent accepting the 30 burpee punishment instead, which, for me, seemed to take a lifetime to finish! The fire jump was a great source of warmth for the spectators! The obstacles were actually a sweet relief, a brief respite from the horrors of the trails and the hills, oh god the hills! A lot of people struggled with the naturally formed mudslides, but luckily I had learned from previous races that the quickest way down is on your backside. As soon as the other runners see you doing this they all follow your lead – it was definitely the quickest way downhill. 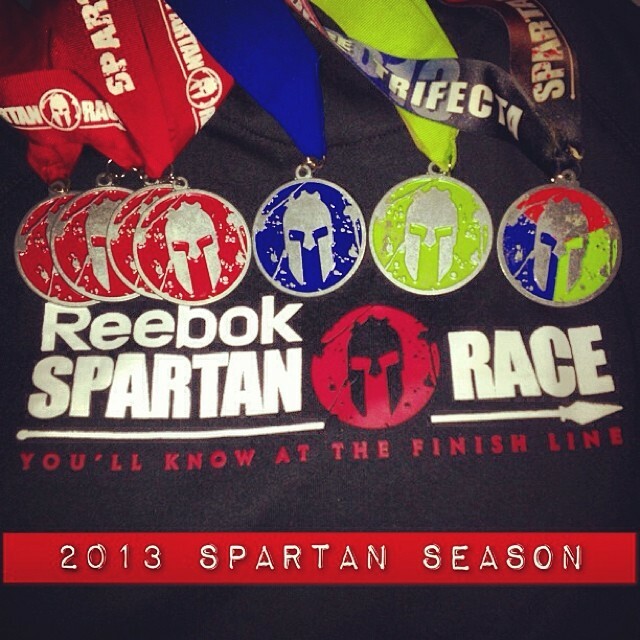 I completed the race with my brother and father, who have been my Spartan training buddies for a few years now. We first signed up as motivation to lose weight and we ended up losing over 250lbs between us! After that, it just became an addiction. 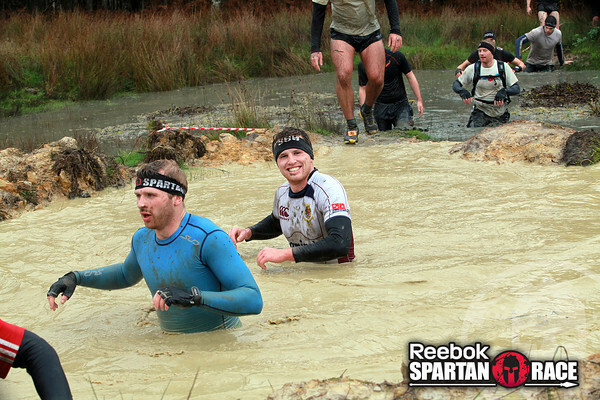 We love the whole ethos of the Spartan Race, the spirit and camaraderie between fellow Spartans is amazing. Lots of helping hands and lots of crazy, delirious laughter from the sheer insanity of it all. 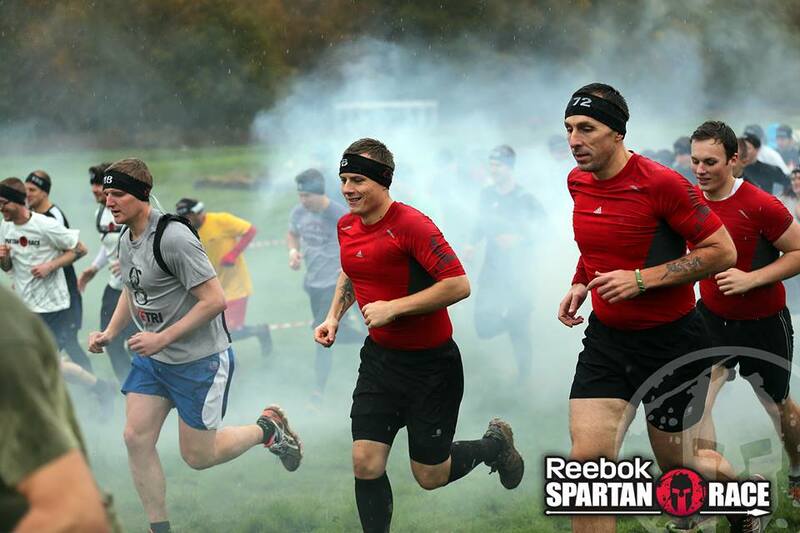 I’d highly recommend obstacle racing for people who are looking to get in shape or to kick-start their fitness regime. Nothing motivates you better than cold, dead-eyed fear! Despite the aches, pains and countless hours of training, I’m definitely doing the whole season again next year – who’s with me? A huge thank you to Darrell for his guest post and to Epic Action Imagery for allowing us to use their brilliant photos. This entry was posted in Fitness, Running and tagged Fitness, obstacle racing, Running, Spartan Beast, Spartan Race, trail running. Bookmark the permalink.